An electrical cable is comprised of conductors, insulation, and a protective jacket. They organize multiple bonded, twisted, or braided wires into a single assembly. Cables connect devices, transfer electrical signals, and carry currents through discreet tracks or raceways that conceal, protect, and harmonize cables with their surroundings. Connectors are conductors that join wires and devices in order to interface between circuits and assemblies with plugs and jacks. Cable assemblies are designed according to geometric and electrical requirements. They are fully assembled cables or cable groupings with terminals or connectors and for groupings may be mounted in an assembly fixture. 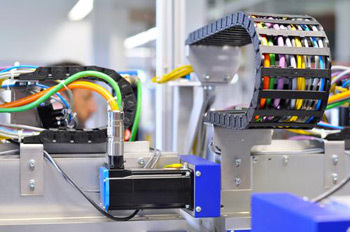 Cable assemblies protect wires or clusters of wires and increase their efficiency.